Jewelry - a new section of the website. Check back soon for more content. Thanks! Very rare solid gold 18-19th century Indian heavy high carat gold gem and enamel 'Navaratna' ring. Early 19th Century Indian Enamel Diamond Kundan Ring, India. Beautiful antique diamond and enamel ring from India featuring 13 polki diamonds. Ruby, Diamond, Sapphire Gold Ring. Possibly Bali or India 17-19th Century. Gold and Garnet Ring, Middle Ages 12-14th Century. 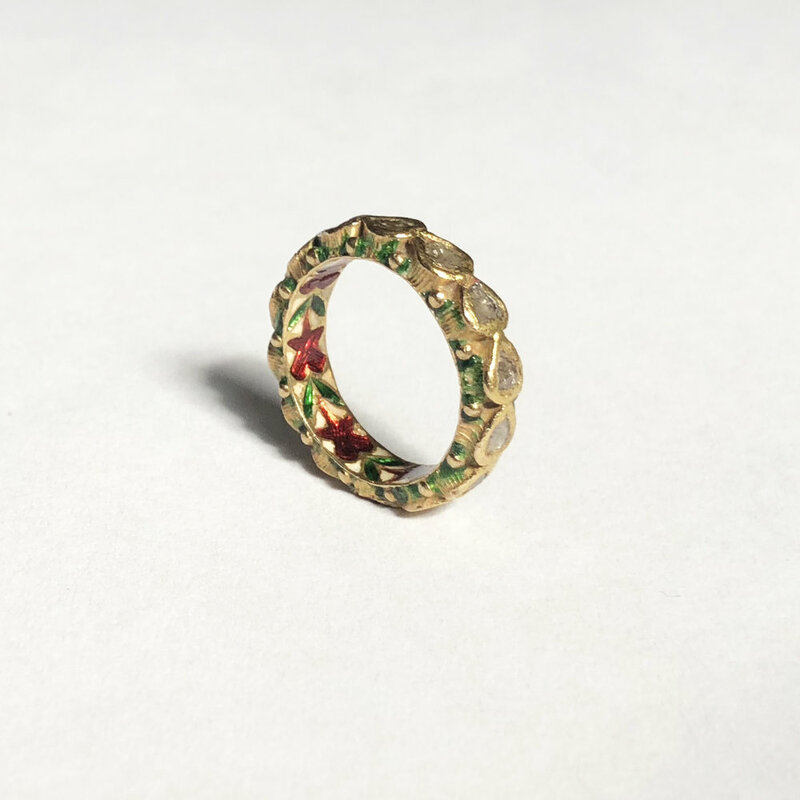 Fine and delicate gold ring from the 12-14th century. Late Gothic Ring Period, Possibly Italian, Carnelian and Gold. Exquisite gold ring from the late Gothic period in Italy. Buttery gold ring with cabochon.